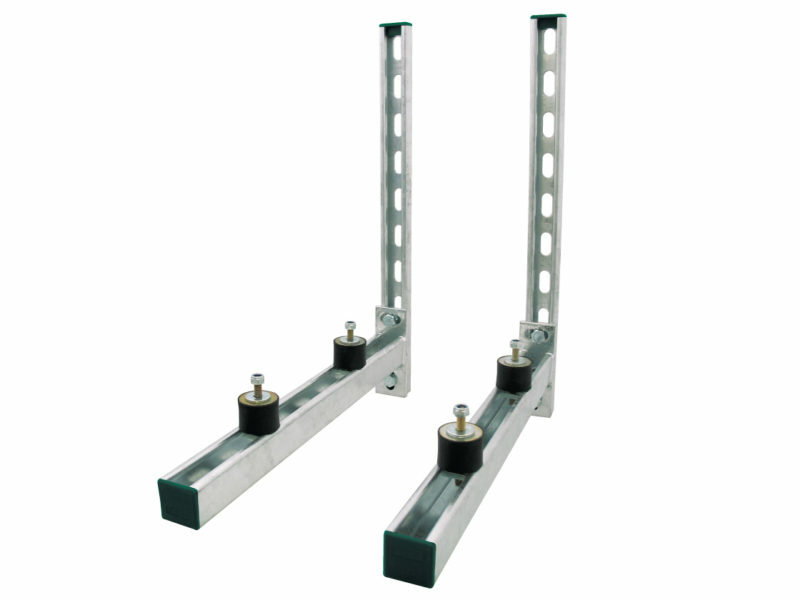 RapidRail Clim ISO console sets with rails are universal sets for use in wall mounts for air conditioners, heaters, compressors and other heavy devices. 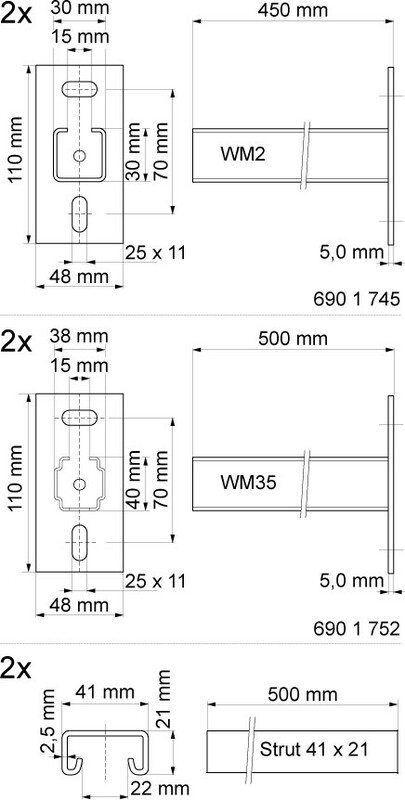 Wall rails give the possibility of additional adjustment and facilitate fixing in weak and varied ground. Made of electrolytically galvanized steel. They have mounted vibration dampers with sliding nuts, washers and hexagon lock nuts.